2018 Tax Reform: What Will It Mean For Me? As you are undoubtedly aware, Congress voted for sweeping tax reform at the end of 2017. By now, those tax cuts have been reflected in the stock market via an additional run-up in stock prices and in employee take-home pay. While it is still very early, we will also soon see whether the corporate cuts will primarily be used to increase dividends and conduct stock buy-backs or to grow businesses. Today we take a closer look at some important aspects of this new law. Tax rates for both individuals and corporations were reduced in the new tax bill. However, the corporate tax cuts are permanent while the individual tax cuts are currently scheduled to expire following the 2025 tax year. Corporate tax rates were reduced from 35% to 21%, and individual tax brackets changed as shown in the diagram below. You will notice that the brackets have become more favorable by both reducing tax rates in the traditional seven brackets and allowing for higher incomes before graduating to the next bracket. Other significant changes involve itemized and standardized deductions. The standardized deduction has essentially doubled – for single filers it was raised from $6,350 in 2017 to $12,000 in 2018, and for married couples filing jointly it was raised from $12,700 in 2017 to $24,000 in 2018. Due to this drastic increase in standardized deductions, many tax payers who have itemized deductions in the past will be able to simply file with the standardized deduction. However, simplifying the tax code and raising the standardized deductions came with a cost – many deductions that were previously allowed have been eliminated. Below are some of the highlights. Should you have any questions regarding any of these changes, or if you have other concerns that have arisen as a result of the new tax law, please do not hesitate to reach out to your LongView Financial Advisor. While we do not provide tax advice specifically, we are an excellent resource for discussing the new law. 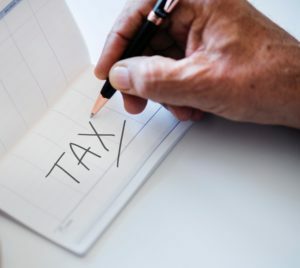 Additionally, we work with a number of tax professionals who can provide support and assistance as well, and we’ll be happy to make an introduction as needed.